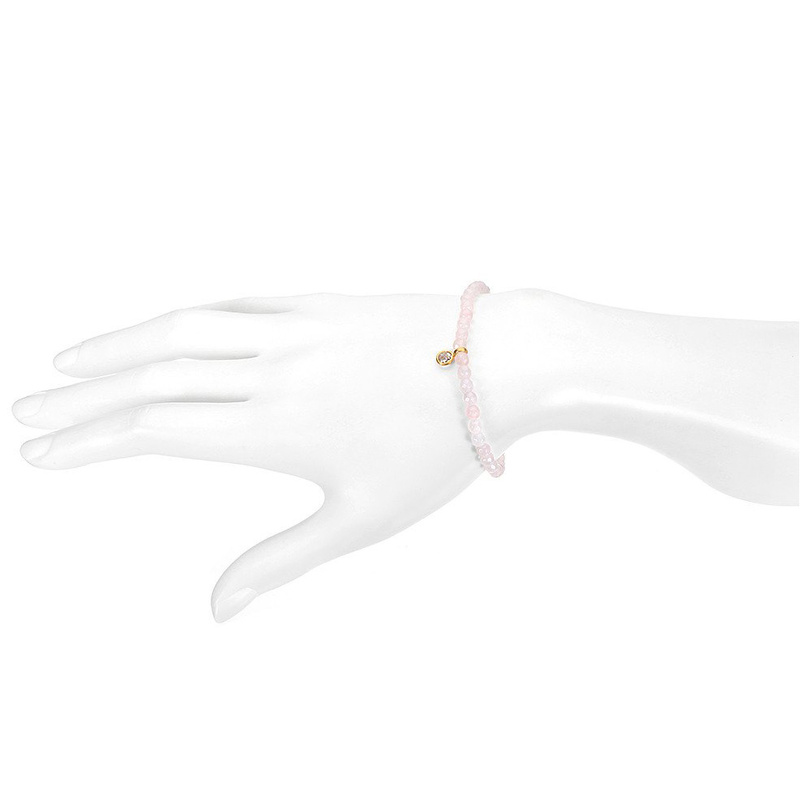 This sparkly rose quartz stretch bracelet from Satya adds an uplifting, feminine touch. 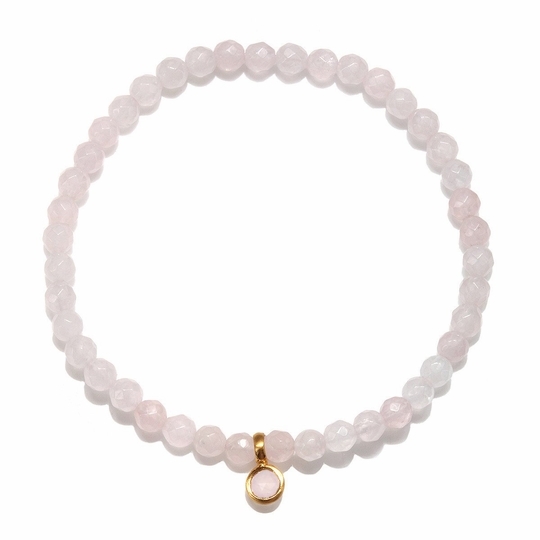 Rose quartz is said to be the stone of universal, unconditional love and draws that energy to the wearer. It's accented with a cherry blossom shaped charm, which is a faceted circle of rose quartz encased with gold and represents love, joy, and good fortune. Elegant, modern, and designed with a vintage twist, Satya handcrafts some of the most radiant, beautiful jewelry you can find. Their pieces are sure to reflect your adventurous spirit, and inspire your inner goddess. Made with semi-precious stones and sacred symbols, these pieces perfectly balance tradition with evolving style. Co-founders Satya and Beth envisioned a company that could inspire powerful women to represent themselves with unique, bold pieces that offer an unmatched sense of rugged individuality. The Satya Foundation is a 501 � organization that has raised over $1 million for children's groups around the world. These powerful and symbolic pieces enhance your style and give you something to feel good about.